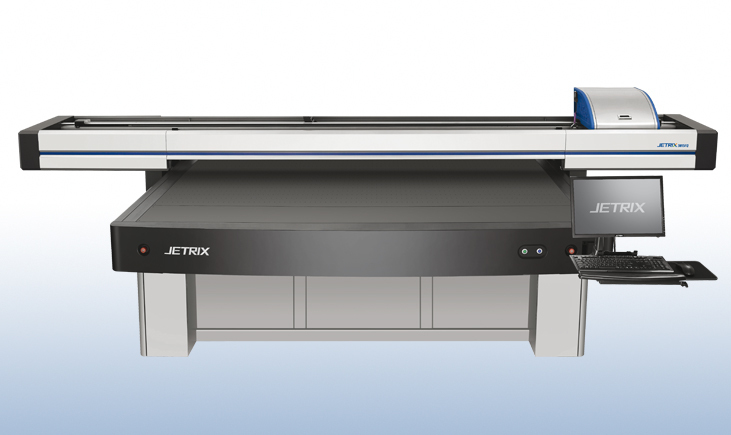 Using state-of-the-art UV technology the ESC-JETRIX is accepting a variety of rigid and flexiblesubstrates in a maximum size of 1524 x 3048 mm. 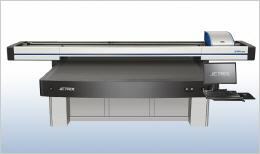 Specially developed glass and metal primers are directly jetted through the print heads constituting a real novelty to the market. Other features like clear coat and white ink as spot colour substantially increase the field of application. composites, different plastic materials etc. Constant ambient conditions within the indicated ranges should be observed.